Have all the important inventions already been invented? An article in today’s Wall Street Journal entitled “Economists Debate: Has All the Important Stuff Already Been Invented?” documents the arguments of two economists at Northwestern University. Robert Gordon, the more famous of the two and someone who commands $20,000 per speaking engagement argues that all the inventions that can have a major improvement in standard of living have been made and as a consequence, the average growth rate in the U.S. will stabilize at half its historic rate of 2%. Joel Mokyr takes the opposite position and points out that this same prediction has been made repeatedly over the last 150 years and it has always been wrong. 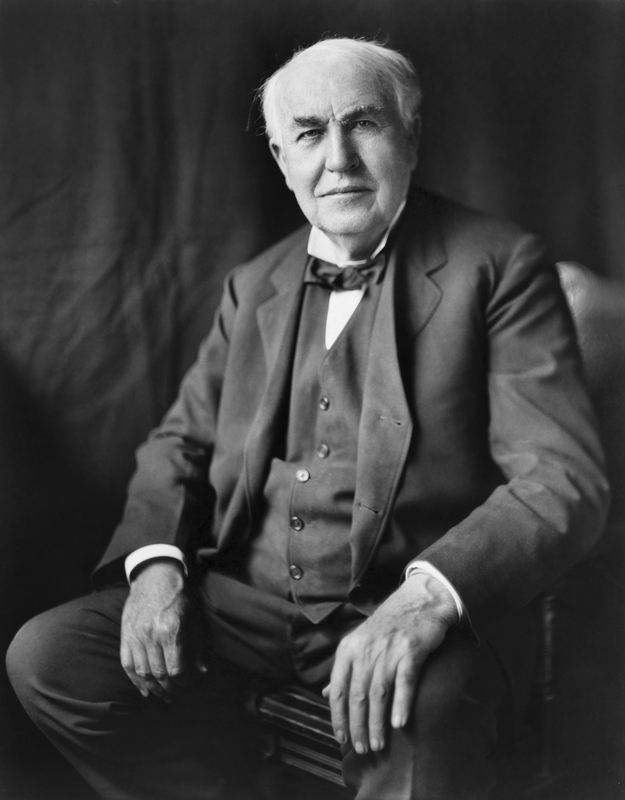 Thomas Edison – the greatest inventor of all time. I must say I agree with Mokyr. Gordon makes the argument that past inventions such as electricity had direct positive impacts on people’s lives whereas new energy technologies should not be counted the same way since they are merely mitigating damage from previous technological innovation rather than directly improving lives. I think this is a very short-sighted analysis. Looking at energy, the west has been dependent on countries that are hostile towards them for energy but at the same time desire the west’s money. Today it is more clear than ever that this relationship has plunged the west into numerous wars where thousands of lives are routinely lost and an enormous drag is put onto the economy. Our lives are so dependent on the energy we get from these volatile regions of the world that markets boom and bust with every hint of trouble or stability. Technologies like horizontal drilling, fracking and our Clarke-Brayton engine can eliminate our dependence on hostile powers for energy, ending the need for massive loss of life and continuous strains on our economy. These technologies are directly and massively impacting the lives of all Americans. Gordon rates the internet as a relatively low-importance invention, often asking people what would they rather give up, their iphone or the flush toilet and he says that smart phones are just a minor improvement over the original telephone. But how many times have you heard people say, “What did I ever do before smart phones?”. Smart phones are not just portable telephones. They are a portal for instant access to virtually all human knowledge that you carry in your pocket. You can get answers to questions as mundane as where is the nearest gas station or as obscure as what were the traditions of the Mayans to mark the summer solstice. In the past information that required days of planning and trips to university libraries can now be obtained in seconds from the moment you realize you want to know it. The implications for business, governance, technological innovation and simple personal satisfaction cannot be exaggerated. If I had to choose between giving up smartphones or the convenience of the flush toilet, I would give up the flush toilet. The only way the U.S. will be able to continue to improve quality of life for the lower and middle classes will be through innovation. Our current standard of living has advanced to the point that industrial manufacturing jobs for all but the most complex products are often not sufficient to maintain Americans in the style to which they have become accustomed. Entrepreneurship, science and technology driving new technologies and new industries is our best chance for continuing to grow our economy and improve our lot.